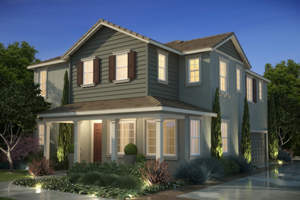 BRENTWOOD, CA--(Marketwired - Oct 15, 2013) - Well-established homebuilder William Lyon Homes has announced plans for Cielo and El Sol at Palmilla, two new neighborhoods that will offer eight beautiful floorplans and one prestigious Brentwood address. 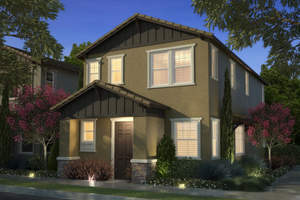 The Sales Gallery opens in November and homebuyers are encouraged to register at LyonCielo.com and LyonElSol.com to be placed on the interest list and stay in the loop on these two incredible new home opportunities that are attainably priced. "Buyers who want a stunning new home in the desirable Palmilla community near great schools should take the first important step of registering their interest as soon as possible to be among the first to view floorplans, experience 3D virtual tours, learn how to take advantage of Phase 1 presales and receive exciting updates on special events," said Lesley Pennington, Vice President of Sales for William Lyon Homes. Cielo at Palmilla will debut a collection of modern homes that will appeal to the expectations of buyers who prefer the freedom of a courtyard residence. This intimate enclave of 56 homes will showcase four two-story floorplans that will range from approximately 2,000 to 2,300 square feet, with 3 to 5 bedrooms, 2.5 to 3 bathrooms, and 2-car attached garages. Prices are anticipated to start from the high $300,000s. El Sol at Palmilla will introduce smart, stylish homes that will offer homebuyers efficient living spaces and the convenience of detached architecture. Four stunningly appointed two-story floorplans will range from approximately 1,500 to 1,800 square feet, with 3 to 5 bedrooms, 2.5 to 3 bathrooms and 2-car garages. A limited opportunity of 49 homes, pricing at El Sol is anticipated to start from the mid $300,000s. Residents of Cielo and El Sol at Palmilla can look forward to a prestigious, vibrant lifestyle that includes the advantages of a master-planned community and a desirable Brentwood location. Homeowners will be near a multitude of recreation and leisure, parks, lush golf courses, and upscale boutiques and restaurants. Close proximity to Highway 4 will offer easy accessibility to major employment centers. Cielo and El Sol at Palmilla are located within the Brentwood Union School District and the Liberty Union High School District. Cielo at Palmilla will offer stylish courtyard homes. El Sol at Palmilla will offer innovative two-story detached homes.